Non-BPA lining. Low-fat. Suitable for vegans. Vegetarian Society approved. 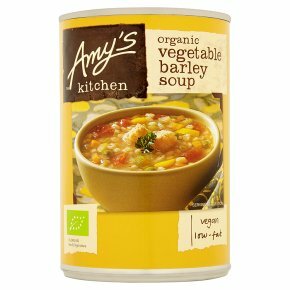 Kosher - DE.This delightful blend of organic garden vegetables and delicious barley cooked in a delicate, flavourful broth will make you feel pleasantly satisfied. It's low fat and dairy free.